Canadians are celebrating Thanksgiving today. I've taken the day off. But here's something I wrote at this time several years back. I think you may learn something from it...and get a chuckle or two while you're at it. Elastic waist band khakis, of course! Thanks, Debra. To you to! I love turkey day. I love Thanksgiving! Here's to good eating! Cat wants to know how was the turkey prepared? It was prepared in the oven. (heh, heh) My wife did a turkey Saturday and my daughter did one tonight. That's a helleva lot of leftovers. See how close we came to celebrating Frobisher Day? Meanwhile you guys get to observe Columbus Day. And what the heck do you eat to celebrate that? 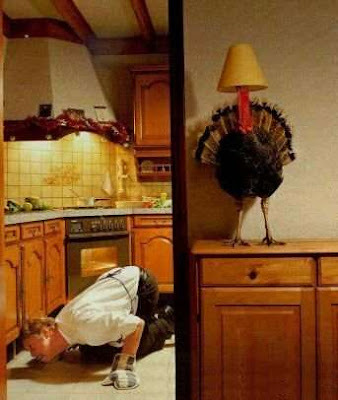 You gotta like turkey. Are you a breast or a leg man? Um, maybe I should rephrase that. 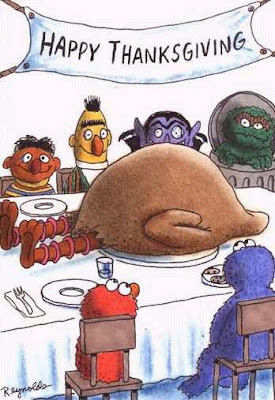 OK, I really laughed at the turkey with the lampshade... but then I got to big bird and DIED! AHHHHHHHH!!!!!!! That is HYSTERICAL!!!! 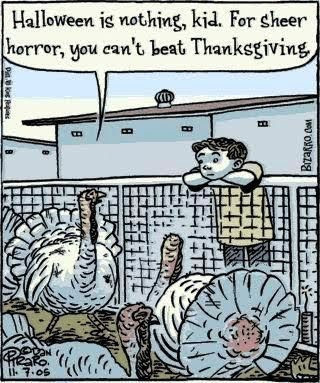 Those are some of my favourite Thanksgiving funnies. Not bad, eh? Sorry, I'm so late to the party! 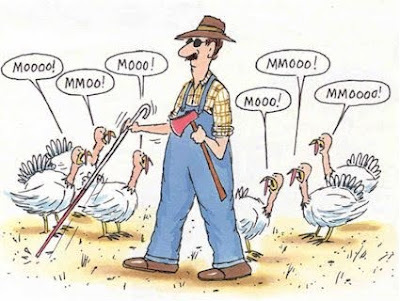 Happy belated Thanksgiving! Late? I've already eaten all the leftovers! Thanks, Meleah.